This resin infused Fibreglass hull fitted with the new 2.1L Mercury motor combination consumes less than 0.5 a litre of fuel per km at cruising speeds. Throughout the entire rev range this efficient combination uses between 0.45 and 0.66 a litre of fuel per km travelled, giving the user the ability to go further and more often. When opened up it can easily achieve 63 kph or 34.2knots, with superior stability and handling from the Bakewell White hull design. 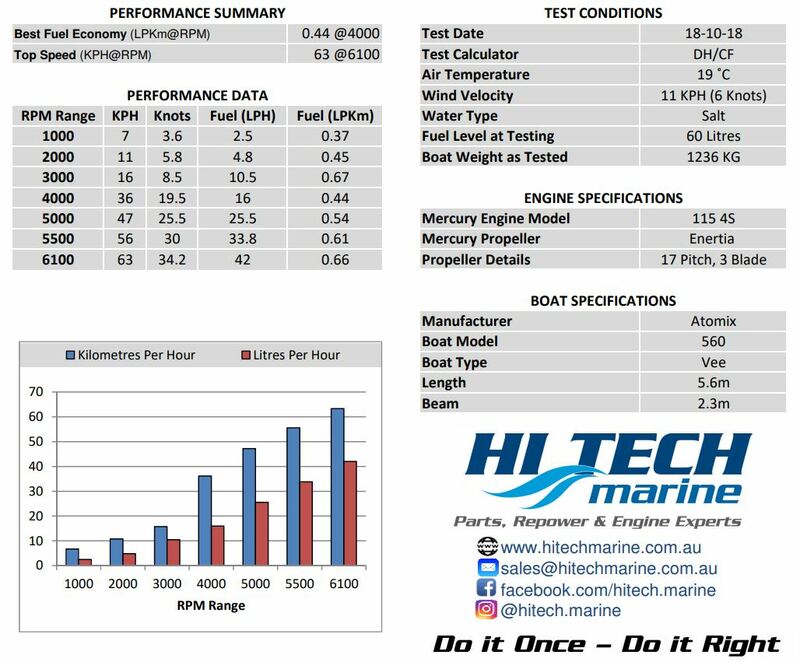 See the performance figures below or download the full version.